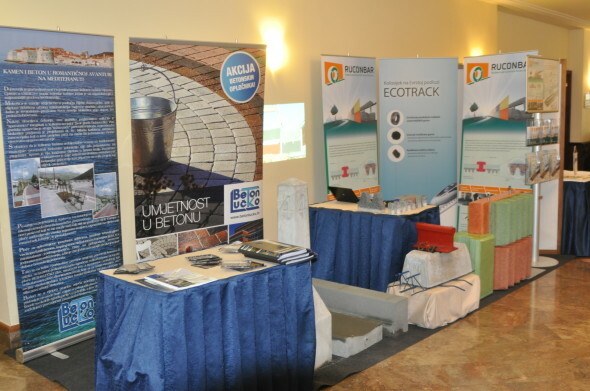 Transportation infrastructure days 2013 – Measurements, testing and monitoring of transportation infrastructure, a seminar of professional development in construction, has been held on March 25th – 26th 2013 in Hotel Panorama, Zagreb, Croatia. More than 300 experts from the field of road and railway infrastructure attended the event. RUCONBAR has been presented on a 6 m2 exhibition stand featuring small test samples, new large scale wall sample, project brochures, roll-up banners and a video presentation of the project.